Since the days of Archytas, rocket propulsion has been the Holy Grail of aeronautics. Thanks to Galileo's inertia, Newton's laws of motion, and the "father of modern rocketry," Goddard, space is not a complete mystery anymore. Rocket-powered aircrafts have evolved from the first liquid fuel rocket in 1926, to the Soviet R-7 which launched Sputnik, to NASA's Saturn V that propelled Apollo 11 to the moon. 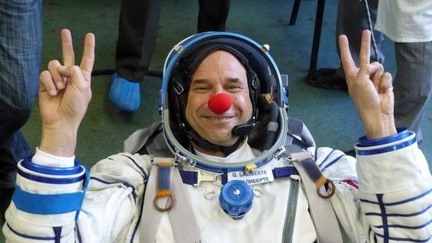 Today, even billionaire tourists can enjoy space, like Microsoft's Charles Simonyi and Cirque du Soleil's Guy Laliberté. 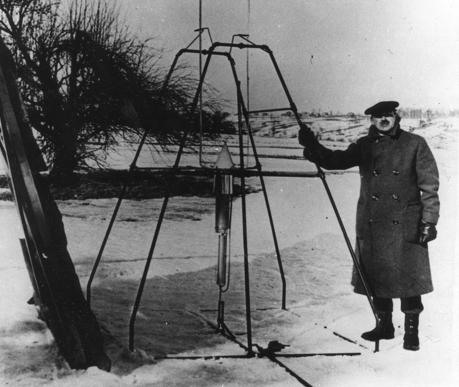 (1) Robert Goddard in 1926. 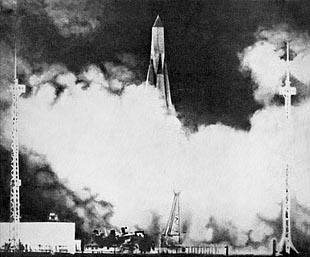 (2) Sputnik launch in 1957. 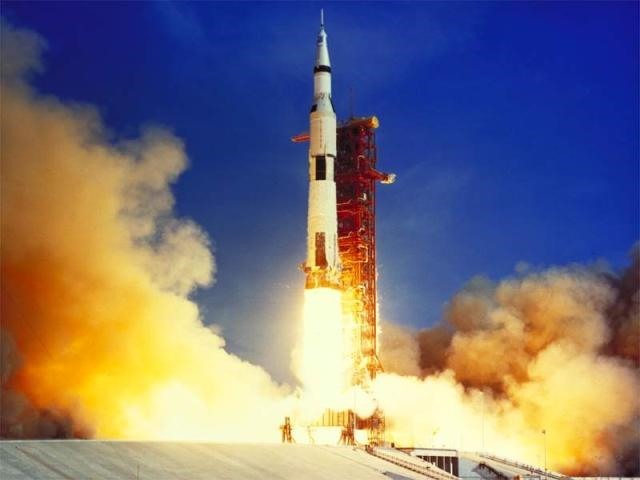 (3) Apollo 11 launch in 1969. 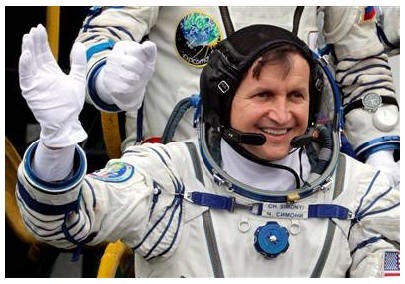 (4) Charles Simonyi waves before his second space flight. (5) Guy Laliberte goofing off during training. But spacecrafts and airplanes aren't the only way to travel, and you don't have to be a NASA scientist to build one. Just remember Newton's third law of motion—"for every action there is an equal and opposite reaction." With that in mind and a little ingenuity, rocket power can be applied to anything you can dream of, like this Rocket School Bus. 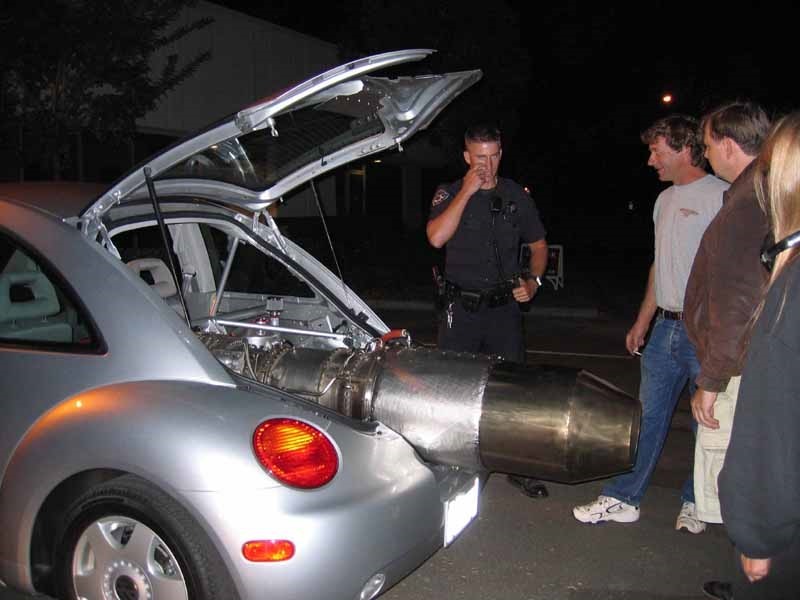 Ron Patrick has turned a Volkswagen Beetle into a street legal, jet-powered vehicle, which runs off the gas engine in front and can be boosted by the jet engine in the rear. 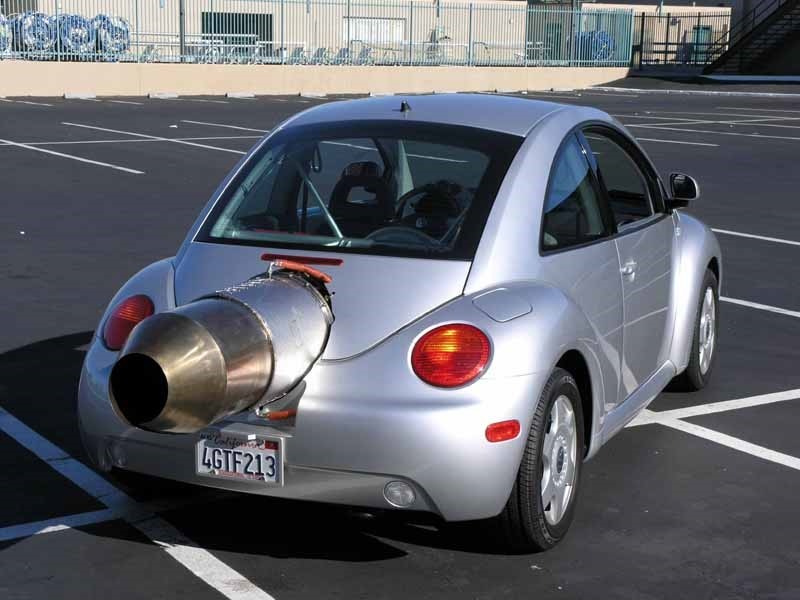 The DMV has no regulations on a vehicle like this, and it's technically classified as a hybrid (for now). Then there's your non-standard vehicle, like the Rocket Recliner by Bill Delcambre. 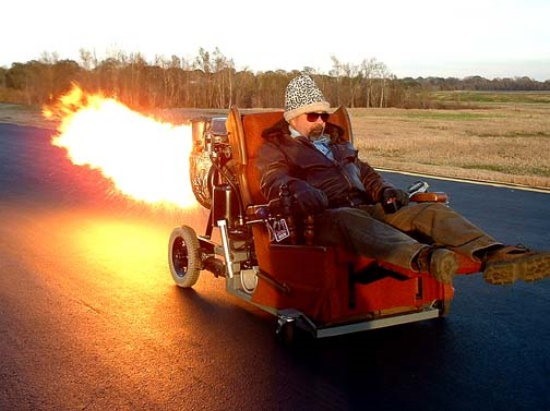 A simple Lazy Boy recliner with a rocket engine to get from one television to the next in record time. 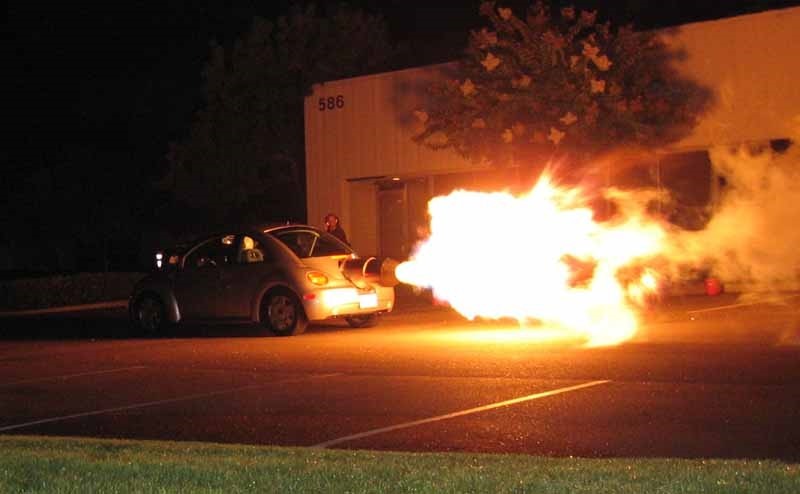 To see more rocket-powered items (even a Porta-Potty) check out WebUrbanist. To make your own rocket-propelled contraption, there's some interesting educational material at NASA to get you started. You can also check out Rocket Basics or Rocket & Space Technology for further reference.